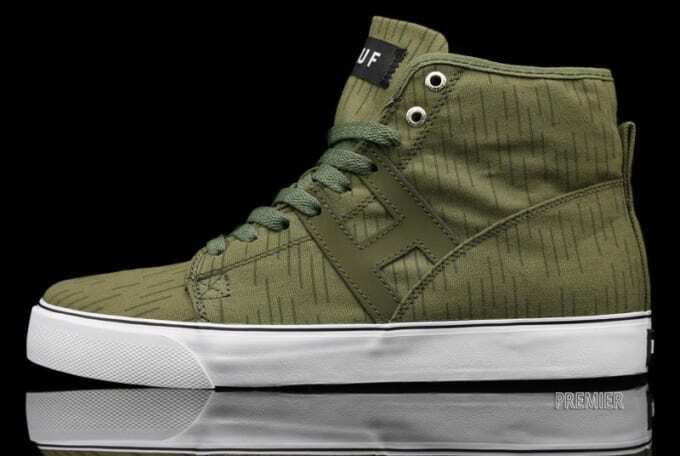 Kicks of the Day: HUF Hupper "Rain Camo"
HUF has just let loose a gang of new footwear, amongst the drop being the "Rain Camo" Pack. We chose to highlight the Hupper model amidst the Camo Pack as it sports a camouflage green upper with deeper green branding alongside and a rain-effect all throughout. While the concept may be a bit of a head-scratcher, the shoe turned out pretty fresh. Check out Premier to cop for $65.